Celebrate National Puppy Day: 4 Steps in Welcoming a New Puppy Home! Last month I had the opportunity to present awards at the Annual GMA Mayors Conference in Downtown Atlanta. 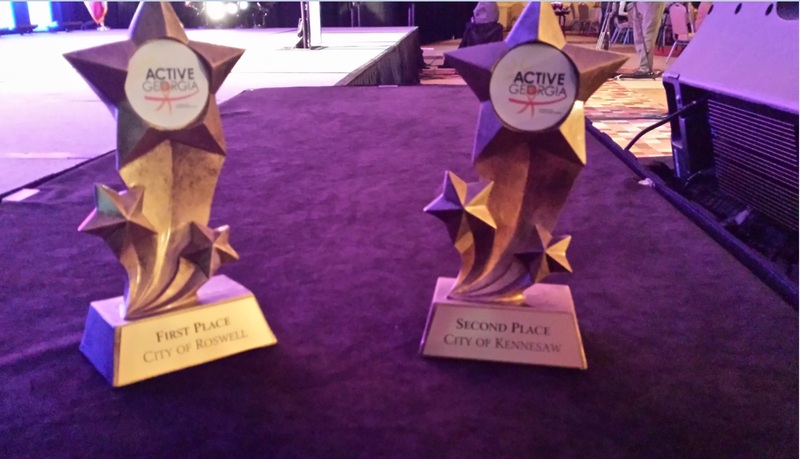 The awards went to Roswell and Kennesaw for capturing the highest point values based upon the ‘Active’ accomplishments of their residents. What was real cool about this event was the gentlemen that I sat next to from Gordon County Georgia, he received an individual award from the GMA, but he went on to share with me his personal accomplishments with running — which I will be sharing in a future posting! Two years ago we launched the Active Georgia Challenge with the Georgia Municipal Association, in support and promotion of Community Health. The Challenge was setup to be a fun competition to determine the most active city in the State of Georgia. We wanted to not only highlight individual accomplishments but the events occurring in the various communities. We also wanted to award the winning communities so I partnered up with organizations such as Dole and Organwise Guys, a local Georgia Company. The prizes for these cities were 500 fruit cups from Dole, which could be used at a future community event and Organwise Guys donated an after-school programming kit for children. We also upped the ante this year and donated $500 in cash to community members, after all the individual and family member accomplishments determined the success of the cities. The winning individuals were Brain Peabody and Marlee Press from the City of Roswell – congrats to you both as you are an inspiration to your community. How it worked is individuals would join the Active Georgia Community, find their city team and join it. Then each day they would log daily workouts and complete community events from the calendar and these accomplishments would lead to points. These points, which displayed not only in ones profile but on the community leaderboard then rolled up into the City Teams Points. The overall community leaders split the cash purse and all was viewable via an online leaderboard. It was truly a win-wi n for everybody. For the cities it was a way to socially engage their families and promote community health, for brands it was a unique exercise to promote community health and award active lifestyles and to the individual participants it was a fun way to not only be a part of a fitness challenge, but support their community, socially connect with events and meet other like-minded individuals. Afterall ones address can play a vital role in how long we live and how healthy we are. The physical design of our communities affect our health every time we step out the front door. Sometimes making healthy choices is not easy—getting enough exercise is difficult if parks are far away and sidewalks don’t exist; eating right is hard when healthy food choices are challenging to find, according to the CDC – Healthy Community Design Checklist. Improve access to outdoor recreational facilities such as parks and green spaces. Build or enhance infrastructures such as sidewalks, paths and trails to support walking and bicycling for transportation and recreation. Support locating schools within easy walking distance of residential areas. Support mixed-use development where people can live, work, play and meet everyday shopping and lifestyle needs within a single neighborhood. Enhance personal and traffic safety in areas where people are or could be physically active. Participate in community coalitions or partnerships to address obesity. The built environment, businesses and technology play a pivotal role, so share with us what you are doing in your community to inspire fun, rewarding connections and be sure to join the next Active Georgia Challenge scheduled to start April 1st. For details email me at dan@cmecompete.com to join or setup your city! If you missed last weeks initial conversation with Kim, be sure to scroll down the page to read more. We left off talking about Kim’s favorite marathon so I then went on to ask Kim if she had a favorite place to run or walk, she stated ‘ I LOVE the Atlanta Beltline Eastside Trail! It is less than 2 minutes from my house and such a great place to run or walk.’, Kim stated. She went on to tell me that she runs 3 to 4 times a week. Having a trail within walking distance or living in a Walkable Community is an ever growing trend. The Center for Disease Control has established a checklist for a Healthy Community, and walkability is key to fighting inactivity and obesity in this country, but it involves community support from the leaders, residents and businesses. In the end everybody wins! 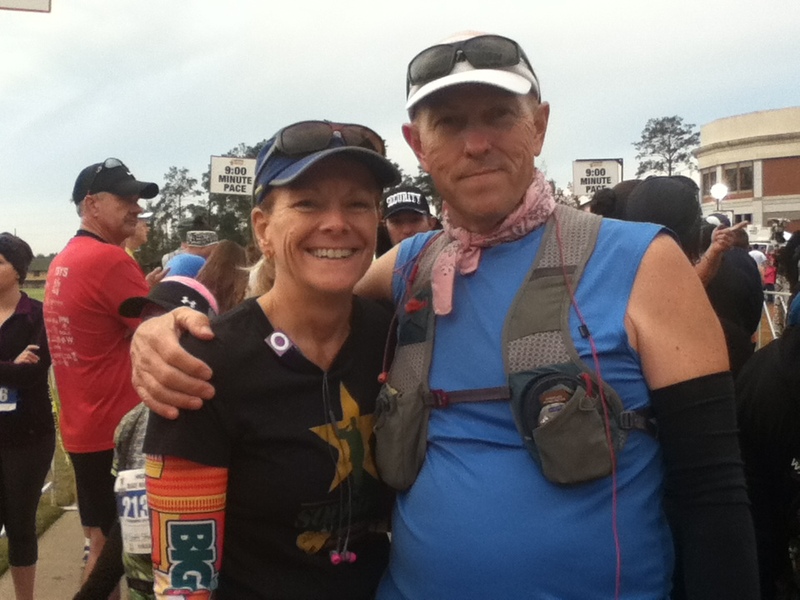 When I asked Kim about her accomplishments, Kim stated ‘I’ve completed Four Marathons, four half marathons, two 10Ks, six 5Ks, one 8K, one 9.9 miler & one 4 miler’. That is roughly 207 miles worth of events completed or 51 times on the Atlanta BeltLine Eastside Trail. I then asked Kim about her goals for 2015, Kim told me ‘I would love to qualify for group A in the Peachtree Road Race, which is a 6.2 mile foot race that features over 60,000 runners on the 4th of July in Atlanta. ‘I was in group B in 2014 and my main goal is to keep running as strong as I have been for the last couple of years.’ Kim replied. Keep on, Be Healthy and Stay Inspired! Its hard to believe how fast the Holiday Season comes and goes, but as each season ends, it ushers in a New Year with hopes, goals, dreams and potentially new beginnings. What’s also interesting are the trends with resolutions as it seems to be similar every year, lose weight or get fit, actually those are the #1 and #5 resolutions for 2015. What is even more interesting is the fact that 48% of Americans make resolutions and only 8% meet what they set out to do, scary if you think about it – why set a resolution. Instead why not set 30 day goals, try something different every 30 days, or try something like setting a goal of making a specific wave for a specific road race, then follow your progress and you’ll see yourself completing something weekly as opposed to giving up on a resolution, seems more fulfilling. Those weekly accomplishments, become monthly accomplishments and before you know it six months has passed and you’ve done more than you would’ve by setting one resolution at the beginning of the year. As 2014 came to an end I had time to reflect back and couldn’t believe how quickly we have arrived at the 5th year of the running series – wow 5 years and still going strong. I could remember late 2010, just like it was yesterday, when I met with the Atlanta BeltLine leadership and started conversations around the development of the running series to generate support and awareness for the project. As we approach the 5th year of the running series I have had the honor to meet some pretty amazing folks and they’ve shared with me their stories. I’ve always been fascinated to learn more about people especially when it comes to what motivates them and the types of goals they set, especially as it is related to Health. Kim Mckinney is one of those individuals that I have had the pleasure to meet and she’s given me the permission to share her story with you. I hope that you enjoy. Kim began running in 1994, she went on to tell me ‘That was the year I ran my first 5K (finishing time was about 38 minutes). I started running mainly because I wanted to try to lose some weight, get in shape, just get off the couch & do something. I didn’t really have an inspiration to start running, just the desire to get in better shape than I was in at the time’, Kim stated. When I asked her what her favorite event was, Kim replied ‘That is almost like trying to say which one is your favorite dog!’. 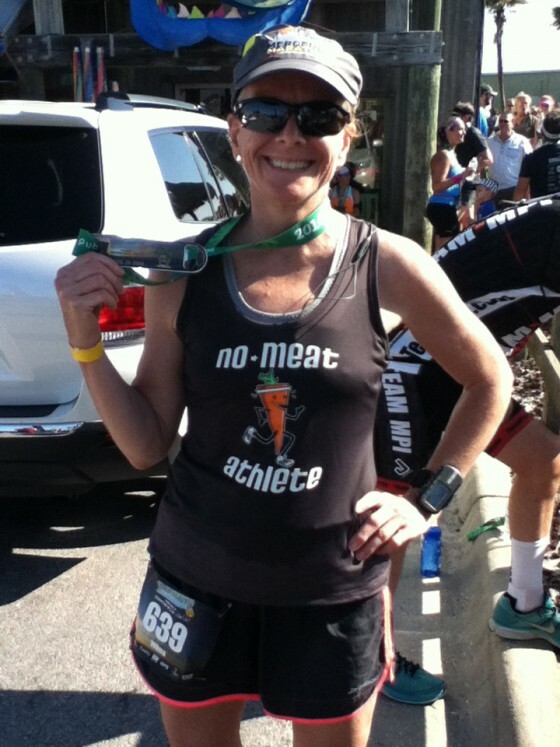 ‘I like 5ks & 10ks because I like to see how hard I can push myself for 3.1 or 6.2 miles, Kim replied. ‘I also like half marathons because 13.1 miles is a good workout without wearing out for the whole day (or week!). I think the marathon distance is my favorite, 26.2 miles can really wear me out, but I love the feeling of accomplishment I get after every one!’, Kim Stated. ‘At some point in most marathons I am running by myself, so it is just me and the road or whatever I have to do to get me through the next mile. There is a lot of time to think about the training I did for that event, what I did right or wrong & what I will do differently for the next one’, Kim stated. Kim went on to tell me her favorite marathon is a tie between Santa Rosa, CA, Leadville, CO and Baltimore, MD’. Those are certainly some beautiful destinations with breathtaking views that can help one through the pain of running 26.2 miles. Can Dogs make us more Active?